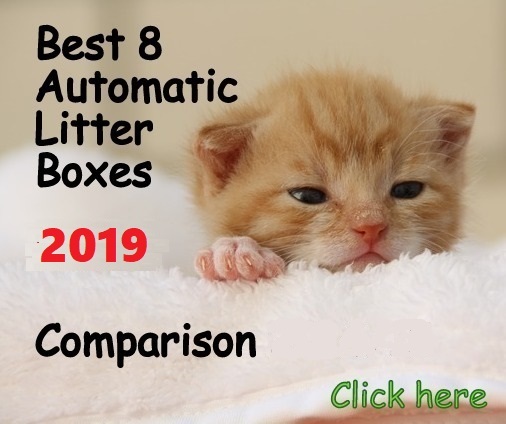 (4.0/5) Two Meows Cat Litter Box with its TM-3 litter auto catching system helps prevent your cat from spilling litter everywhere when digging or kicking. 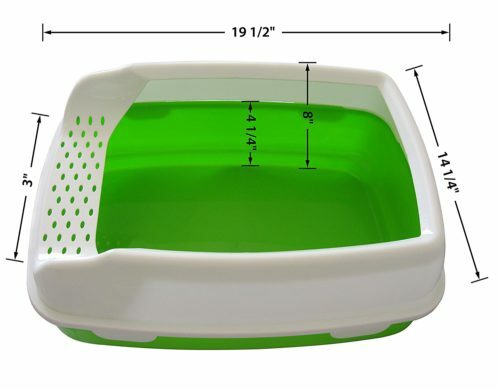 The litter box is made from sturdy and smooth plastic that make it easier to scoop and clean the bottom of the litter box. 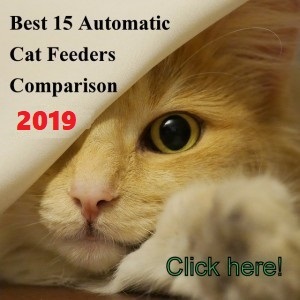 When changing to Two Meows litter box your cat needs a 3-day aclimation period because of the design of the new litter box is a little different than a regular litter box. 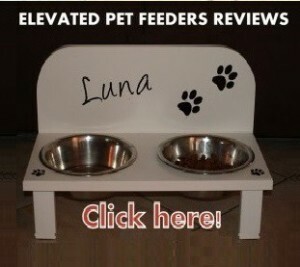 This unit is Veterinarian-approved and being used in shelters and Veterinary clinics. 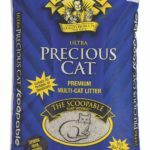 WHAT ARE THE PROS AND CONS OF TWO MEOWS CAT LITTER BOX? 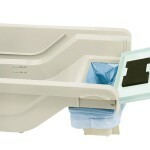 The top lid doesn’t snap on tight in some cases leaving a gap on the back side where urine could leak onto the floor. 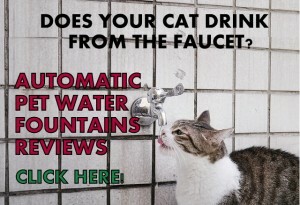 Not good for cats that urinate against the wall. 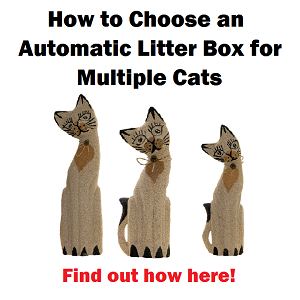 Make sure to follow the instructions of leaving the old litter box next to the Two Meows for 3 days and then remove. If you want to reduce most of the litter scattering, place a top litter mat beside the entry of the litter box. When pouring litter don’t overfill, always fill half way of the bottom litter pan. 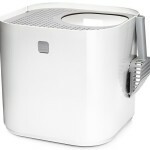 Two Meows litter box works as advertised in the sense that helps to reduce litter scattering. 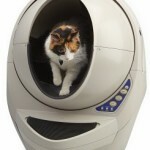 Ideal for cats that kick vigorously after doing their business. 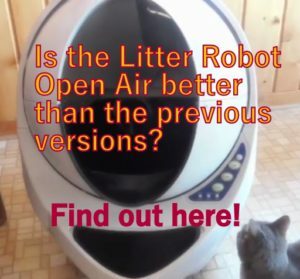 This unit provides high walls to contain litter but also to protect the floor from urine and feces without the need of using a hood that some cats don’t like. However, this litter box offers a really small litter area. 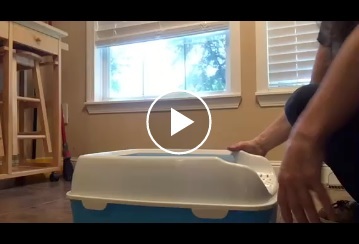 Even a 8 lbs cat might find this litter box too small, it will depend on your cats adaptability, but the unit is small, especially with the ledge that takes 3 inches from the pan area. For this reason, some cats might use the ledge as part of the litter area and do their business there. The rolled sides also take about 1-inch between both sides. 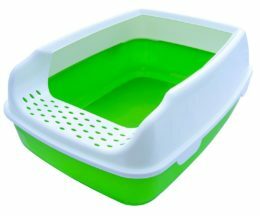 Two Meows litter box is suitable for very small cats, ideally kittens and young small cats and is not suitable for cats that urinate against the wall of the litter box. I had a problem with a 4 year old female cat peeing over the edge of her litter box and getting urine in the floor. I bought a Two Meows cat box 2 years ago. I have had NO PROBLEMS since. There are No Cons as far as I am concerned. This is a large cat 16-18 pounds, she fits in the box nicely, does her business and gets out. It is the best litter pan I have ever had. I have recently adopted two more cats and am looking for another Two Meows pan to purchase; I am having trouble finding one. Any suggestions? 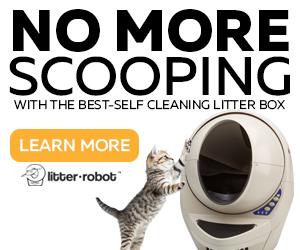 Hello Jill, I am glad this litter box helped with your cats. I am not sure if this unit will be available on the market again. Let’s hope they come up with an upgraded unit soon.